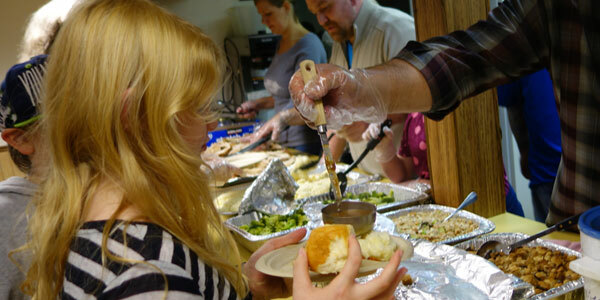 Every month the Monroe Rotary prepares and serves incredible dinners for our Tuesday Night Community Dinners. For Thanksgiving they pull out all the stops - 8 whole turkeys this year! Community Transit gave us the grant of a 12 passenger van. Thanks, Community Transit! We celebrate our 250 amazing volunteers! 38 Kidz went to the Zoo. Woodland Park gives us free tickets - how cool is that! We even learned how to make paper from "Zoo Doo". They told us it was clean...and it didn't smell bad. Thanks, Monroe Fire, for a great tour! We learned all about the fire station. We got to see where fire fighters eat, sleep, exercise, and hang out. We learned a lot of good safety tips to share with our families. Monroe Fire - you're the BEST! Thanks for the fire hats, too! Josh was homeless and was having a difficult time getting to school and keeping up with his homework. A friend told him about the Cold Weather Shelter, a safe and warm place to stay. There, he learned about the Next Step. Thanks to the Monroe Y for hosting Kidz Club! What a great afternoon - swimming, racquetball, basketball, crafts and games in the Sparks Center and just hanging out. We appreciate "Y"ou!